Probably the best advice anyone can give is to start planning early (but not too early). It holds true for any place you are planning to visit. 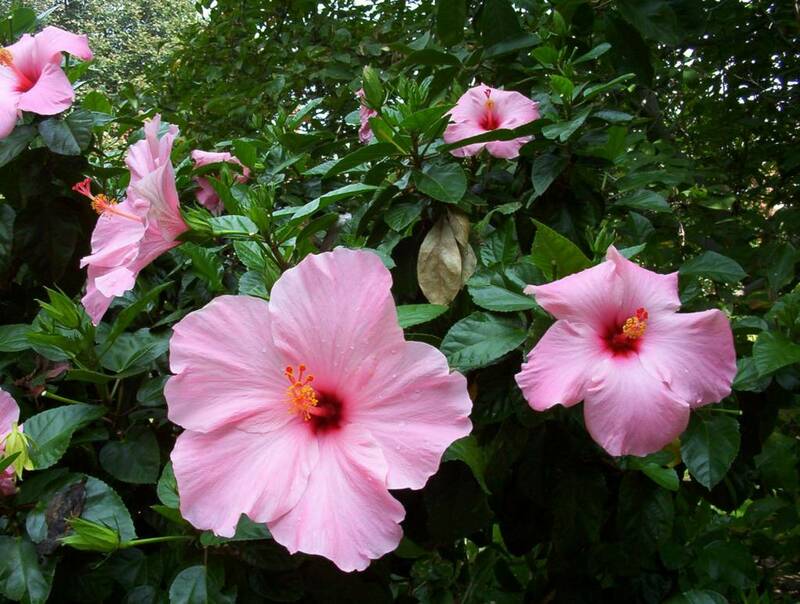 Start by requesting a free visitors brochure 1 month before you trip. Just go to the city website and look for the free visitors info. You can do a google search for the same thing, e.g. "free visitor information" + "Washington". Next step is to book a hotel on Expedia or get a better deal by bidding on Priceline.com. Just remember that on Priceline you can't choose the hotel but only the class - 4, 3, 2 stars, etc. and once your bid goes through you can't change it. You can book a very good hotel like Marriott or Sheraton for $ 55-65 per night which is a great deal. Sometimes you have to pay for the parking though which may be as high as $ 8-10 per night. And don't forget that Priceline charges a service fee of about $ 20-30. Calculate all this before jumping on the bargain offer from Priceline. Then, print a map from MapQuest and you are set to go. Basically, you just drive southeast from Cleveland through Pittsburgh until you reach Washington, D.C. It takes 6-7 hours. How do you go around? 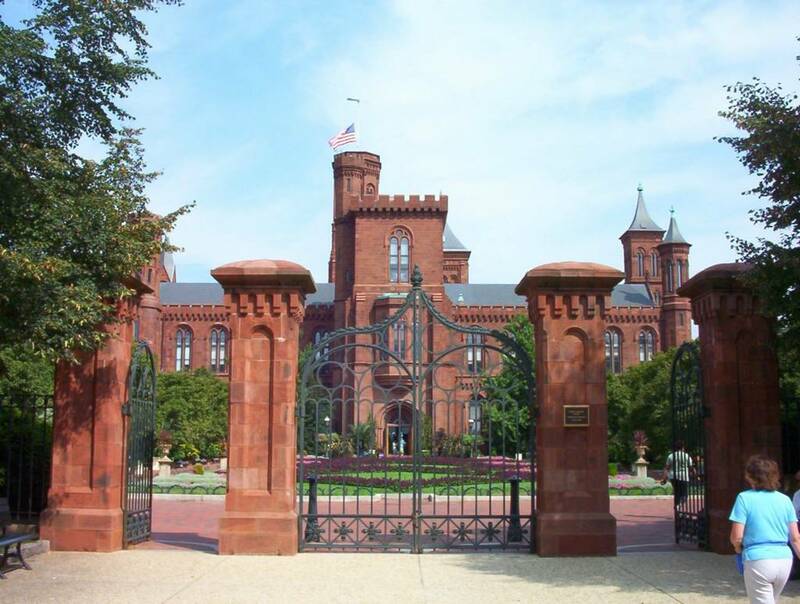 There is a parking behind the Smithsonian castle on the 12th St. which is right in the middle of the Mall. It will cost you $10 for the day. Where do you go? What is the Mall? The National Mall (or just The Mall) in Washington, D.C. is an open area of gardens, fountains, trees, museums, and monuments (source: Wikipedia). 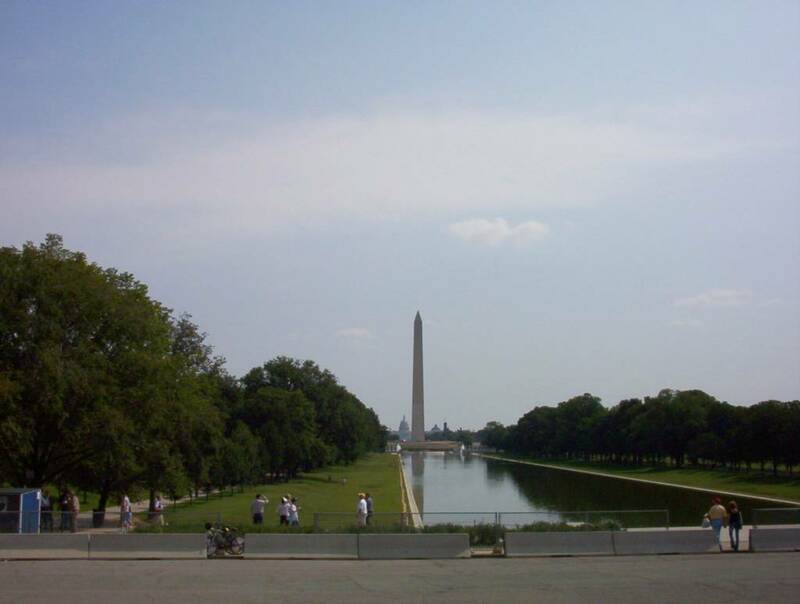 The Mall is rectangular lawn which stretches from the Lincoln Memorial (on your left on the aerial photo) to the Capitol Hill which is on your right on the photo. The whole distance is 2 miles and the most convenient way to see the attractions along the way is to walk so pack a pair of comfortable shoes. It is too long to walk the whole distance in one day because you will be stopping so see museums and fountains and so on your way so it's practically not possible. Unless you idea of good time is running the marathon. This is an aerial photo of the National Mall - Washington monument on the left, Capitol on the right. The best printable map of all the attractions is on the NPS website. 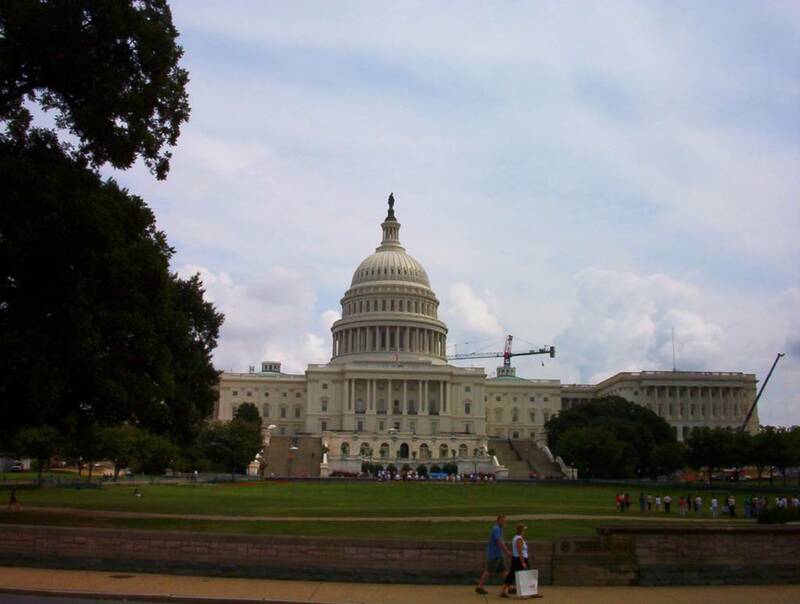 Another excellent resource is the clickable tourist map of famous sites around Washington D.C. Just choose a site and click on it to see photos and more information. It could not be easier. You can park in the middle of the mall - 12th St that is - you can walk up the hill to the Capitol. 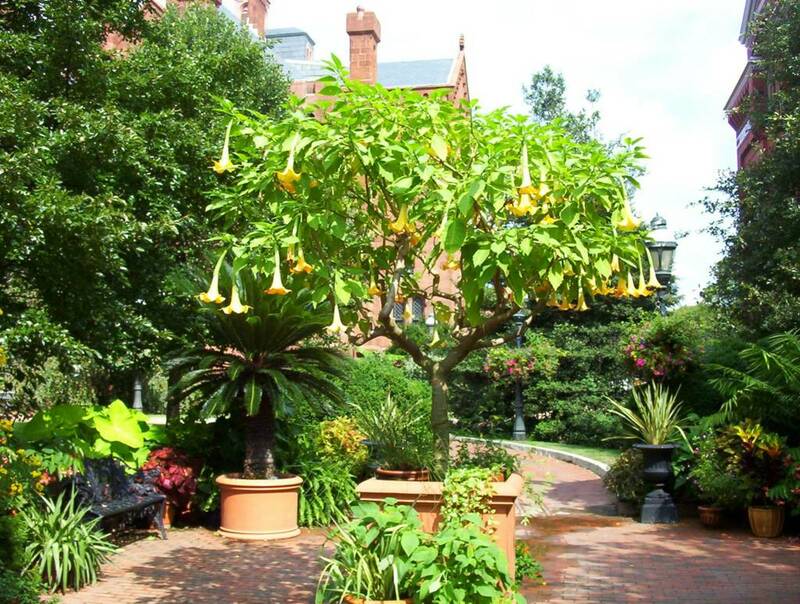 On your way stop by the Smithsonian castle and its beautiful garden. 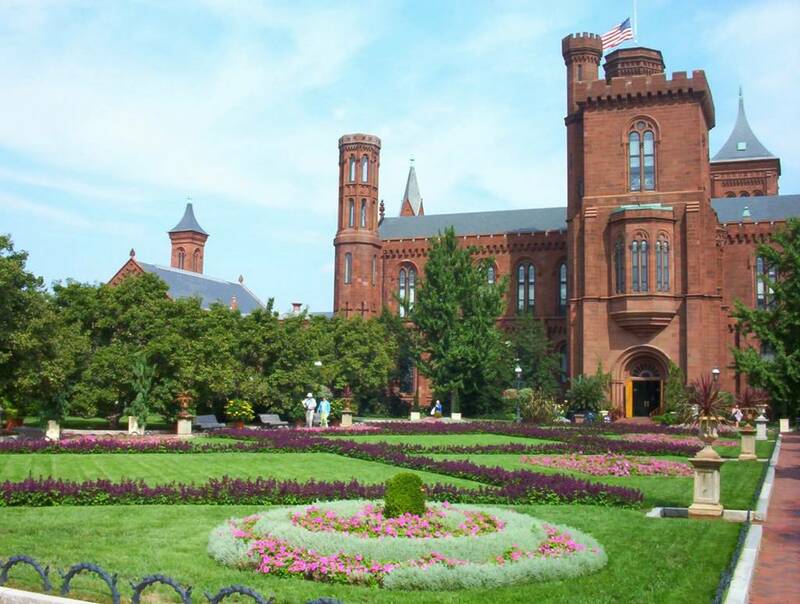 The Smithsonian foundation was started by a grant donated by an Englishman whose name was not even Smithson initially. He changed his name to Smithson for unknown reasons in his adult years and also for unknown reason he wrote in his will that all his money after his death were to be donated to the US government for educational purposes. Click here for a map of all the Smithsonian Museums - the biggest museum collection in the world. Admission is free. 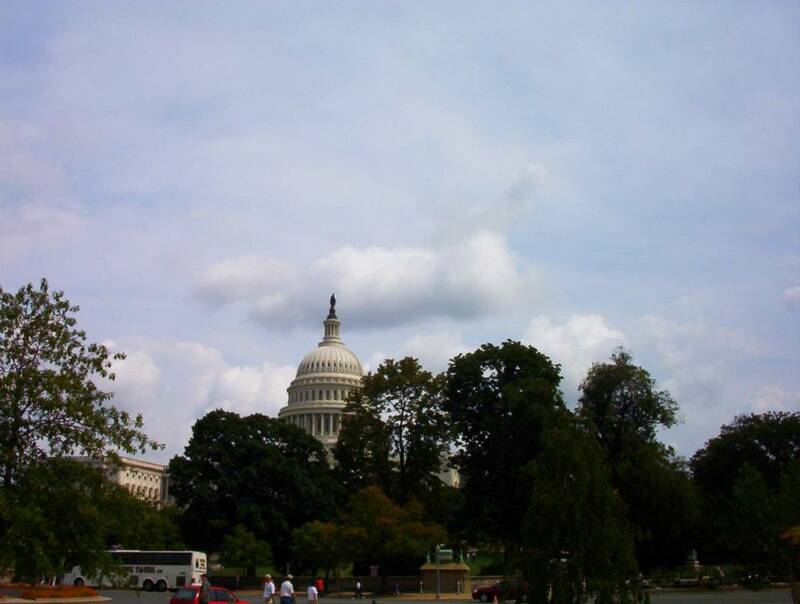 You can see several museums before you reach the Capitol. 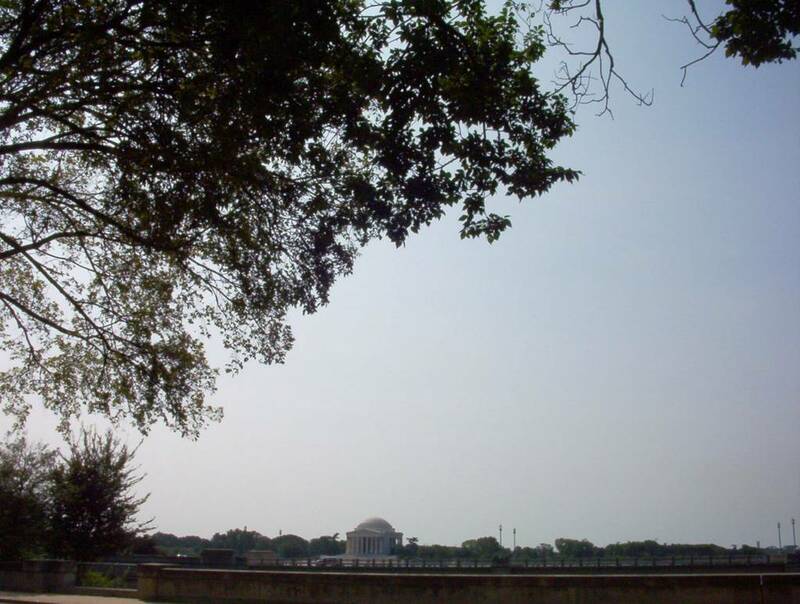 President Grant's monument is just in front of the Capitol and you can get some rest on the benches there before you see the Botanical garden which will be on your right as you face the Capitol. 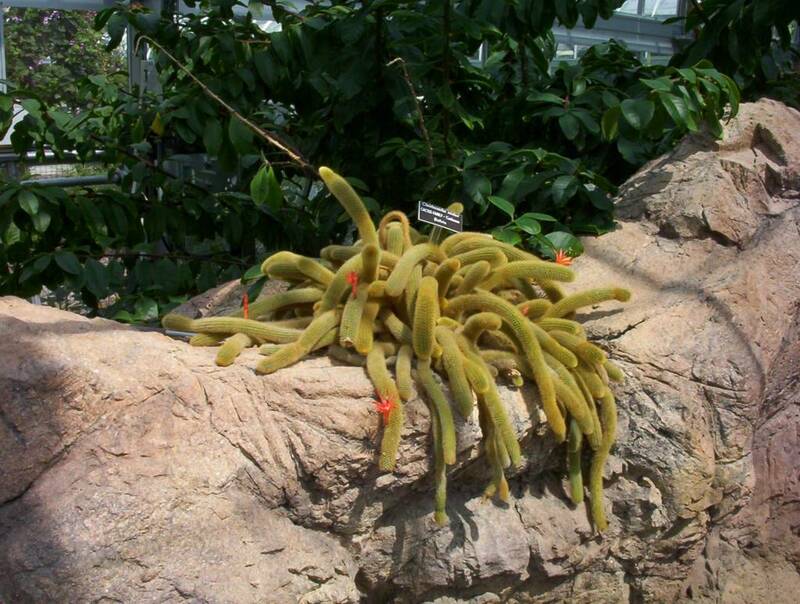 You will soon notice that everything in Washington DC is "national" - the National Zoo, the National Mall, and so on. Next on way back you can see the Natural History and American History museums on your right as you walk towards the Washington monument. 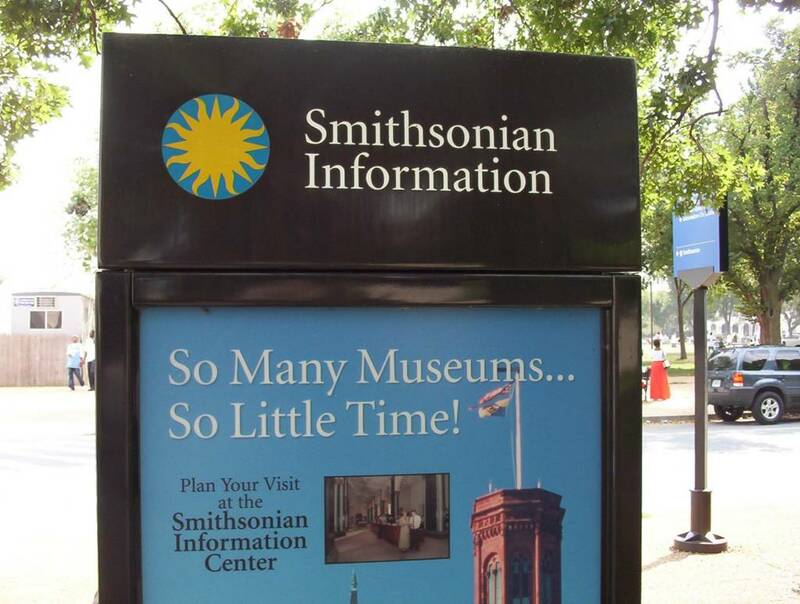 So many museums, so little time as the signs says on one of the Smithsonian billboards. 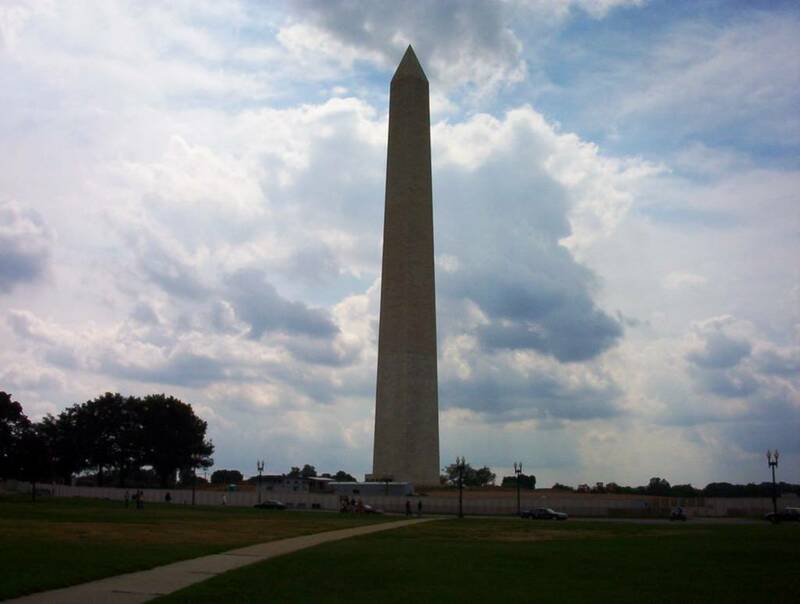 Washington monument - it was built for more than 50 years and it was finished when everybody lost hope it will ever be completed. The reasons were financial and political. Initial project was to have an elaborate colonnade with 30 revolutionary heroes on it but the marshy land would not be able to withstand the enormous weight. Then a political group with the strange name "know-nothings" took over the committee overseeing the building the monument. They were a conservative group against immigrants and when interrogated about their secret meetings they used to say "I know nothing", hence the name of the group. Know-nothings were primarily against the immigration of Roman catholics to the predominantly protestant US at the time. 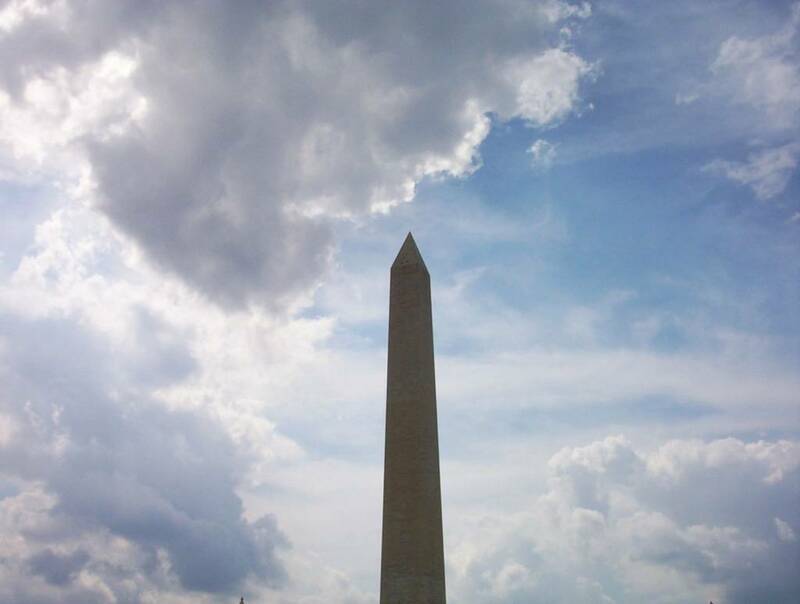 Washington Monument. See it from the air on Google maps. 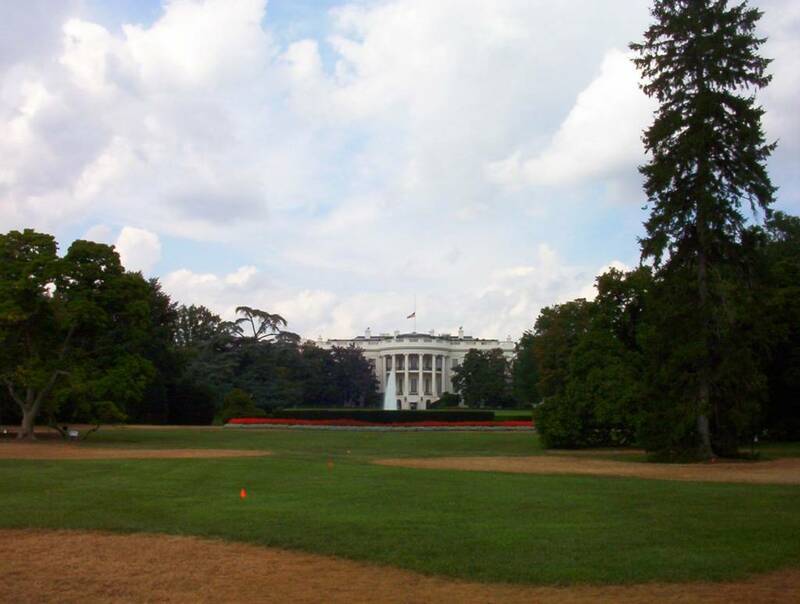 Just to the right of the Washington monument at about 300 m is the White house. Following the lead of Thomas Jefferson, incoming Presidents traditionally walk or ride down the Pennsylvania avenue after taking their oath of office. You can see the building only in the distance and there are always a lot tourists taking pictures in front it. 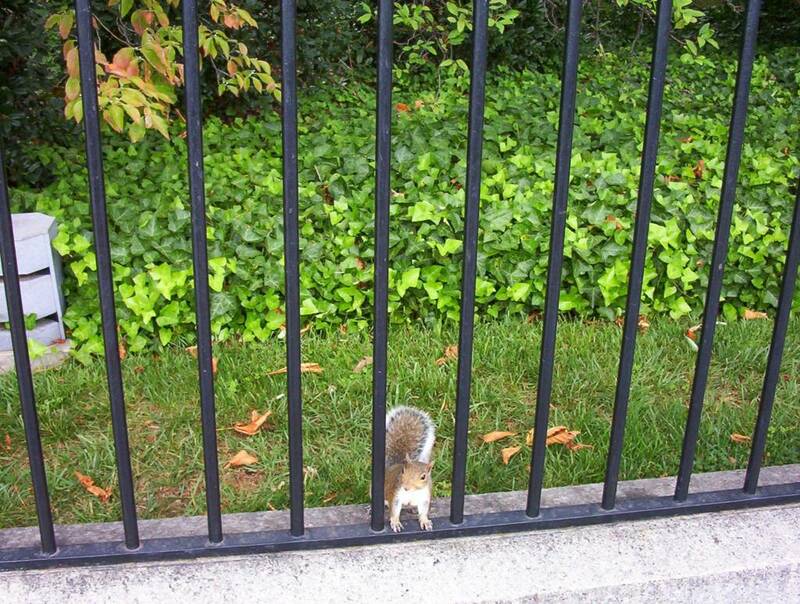 See one friendly White House resident looking through the fence on the picture below. Save the second day of your visit for the other side of the Washington monument where WWII memorial, Jefferson and Lincoln memorials are located. 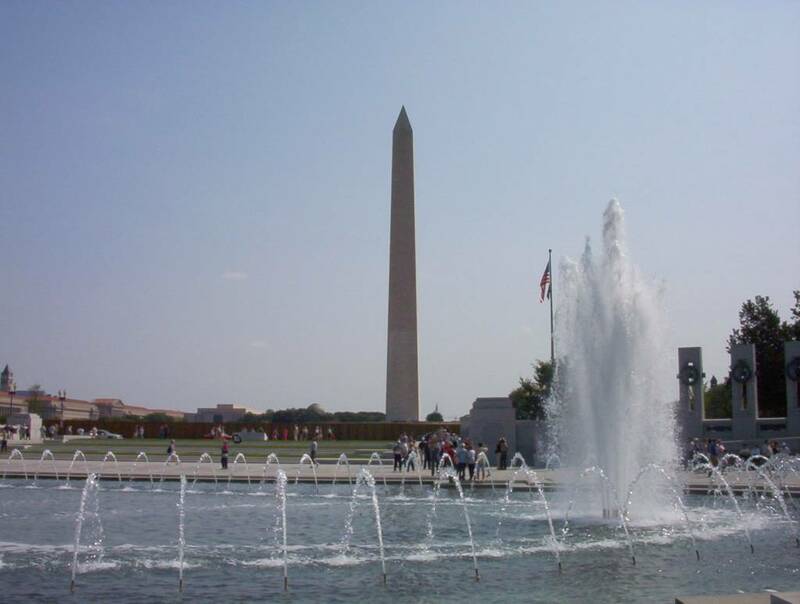 WWII memorial is a circle of fountains symbolizing all the states and countries which united defeated the fascist Germany. There are 2 pools on the opposing sites symbolizing the Atlantic and the Pacific oceans. From the WWII memorial you can see the magnificent building of the Lincoln memorial in the distance. It is quite a nice walk below the shade of the 100 years old oak trees along the way. 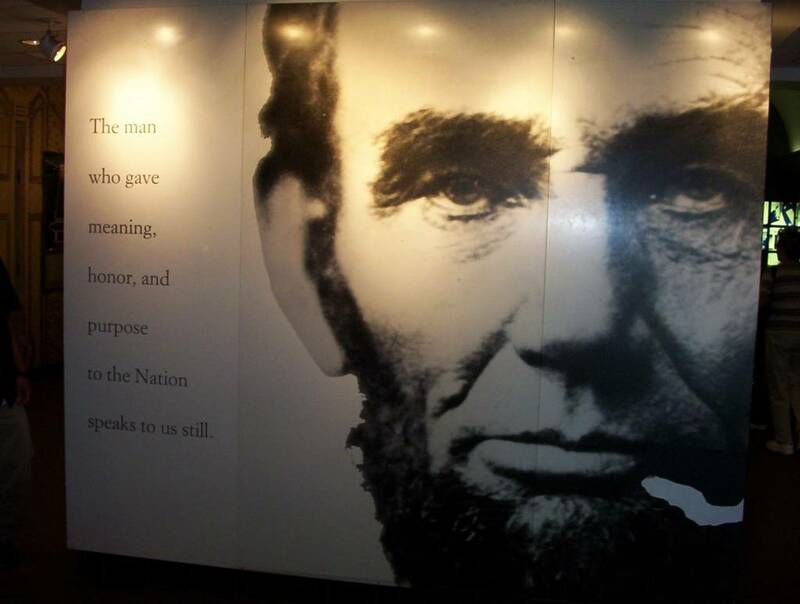 Visiting the Lincoln memorial, built in honor of 'the Man who gave a Meaning to the Nation', is a moving experience. 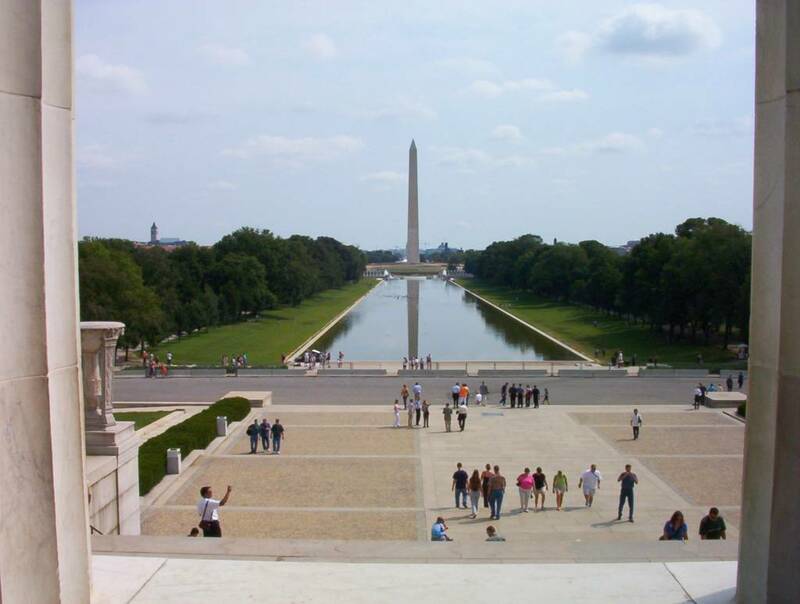 From its steps you can see the magnificence of all the monuments on the National Mall. Lincoln Memorial in Ancient Greek Style. 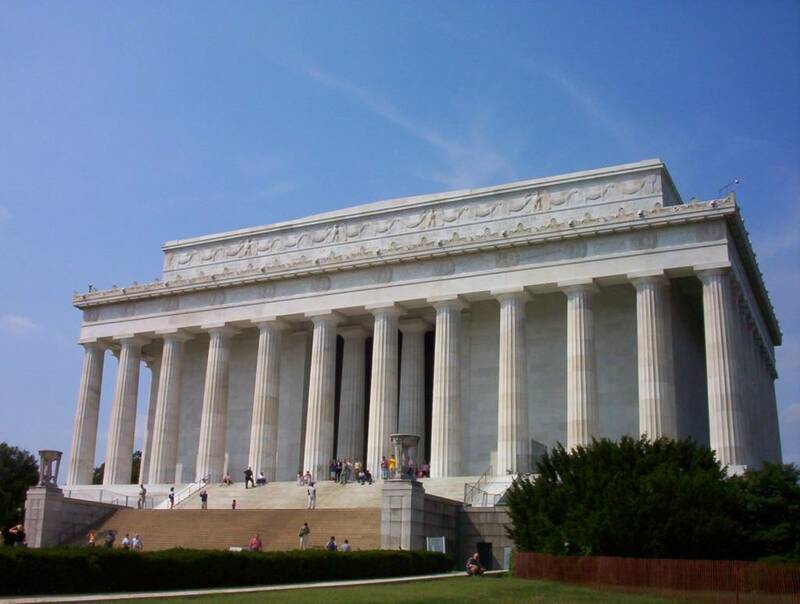 It was built to resemble a Greek temple with 36 Doric columns, one for each state at the time of Lincoln’s death. 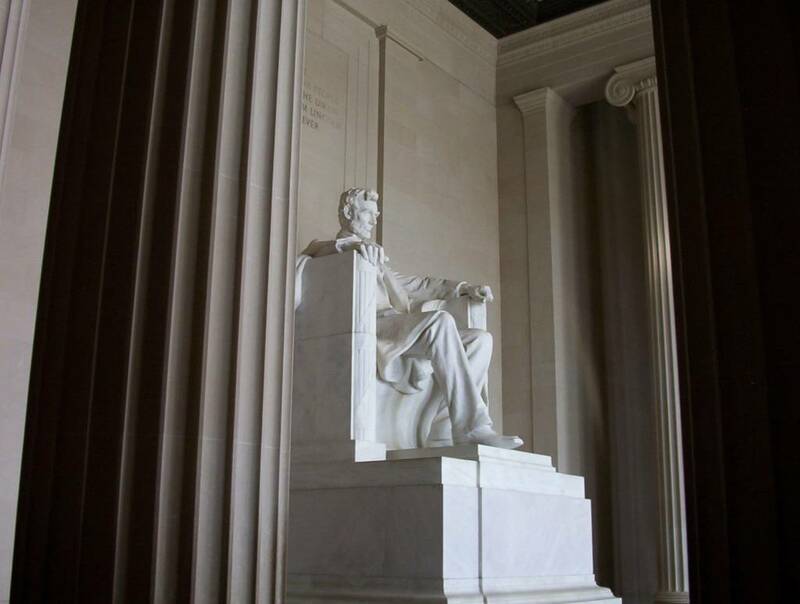 A sculpture by Daniel Chester French of a seated Lincoln is in the center of the memorial chamber (via Google Sightseeing). Washington Monument seen from the steps of the Lincoln Memorial. See it from the air on Google maps. 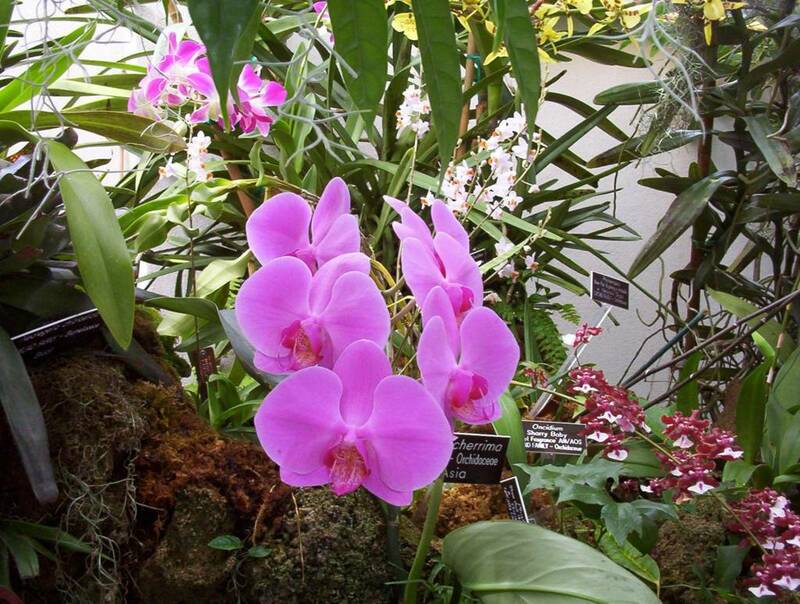 Washington, D.C. Traveler Magazine's 50 Walks of a Lifetime. iTunes URL. Welcome to Washington, D.C., the capital of the United States of America. 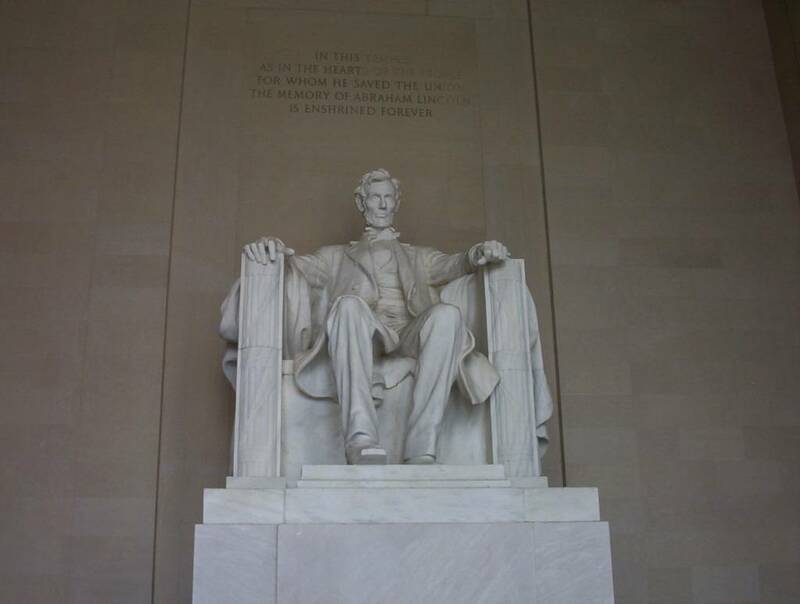 Today, we will walk along the National Mall, from the U.S. Capitol to the Lincoln Memorial. 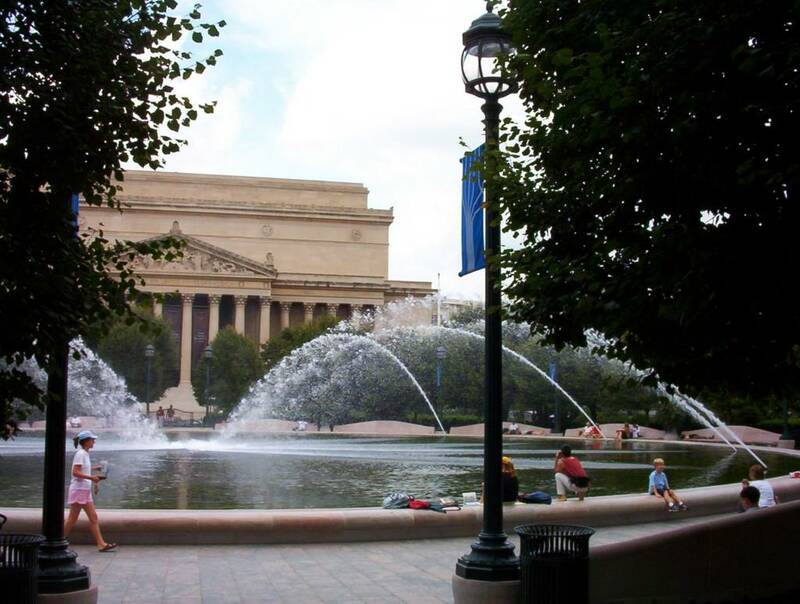 With its stately white marble buildings, memorials to American heroes, fountains, pools, gardens, and inviting green spaces, the 1.9 mile stretch embodies democratic ideals. Quick Road Trip: Washington, D.C. Part One. Gadling.com, 07/2007. Quick Road Trip: Washington, D.C. Part Two. Gadling.com, 07/2007. Winter Day Out in Washington, D.C. NYTimes, 01/2008.